Cranbourne prides itself on providing our customers with homes built to a high specification in sought after rural and urban locations in Oxfordshire and its surrounding areas. Our objective is to make purchasing a home as stress free as possible and aim to provide excellent customer service at all times throughout the home-buying process. It doesn’t stop there, as Cranbourne have a dedicated team of people who will provide after sales care to achieve high levels of customer satisfaction. More info: Step by step process, Consumer Code, Useful Contacts. Buying a house is possibly the biggest financial decision you will make in your life. It can be a lengthy and complicated business, which whilst exciting is often stressful. Our step by step guide will help you to gain a better understanding of the process to make your home-buying experience as easy and problem-free as possible. If you are unsure about how much you can afford to spend on a property, one of our Independent Financial Advisors (IFA) will be able to provide you with free advice and recommend a product that is best suited to you. Our Sales Department at Cranbourne will be able to provide you with contact details. Our Sales Team will work with you to find a property that suits your lifestyle. Depending on the stage of construction, you may also be asked to choose your options available to you ie, choice of kitchen, tiles etc. Once you are ready to reserve a property, normally between £1,000 and £5,000 is required (in accordance with the Consumer Code, the developer has the right to re-claim for any actual costs incurred, should a client change their mind). You must be in a proceedable position to commence this process as when contracts have been exchanged, you are legally bound to purchase the property. The Reservation agreement will be undertaken by a member of the Sales Team, who will remain your main point of contact thoughout the sale. You should appoint an independent professional legal advisor to carry out the legal formalities to look after your interests. If you are unsure about who to use, Cranbourne can recommend reputable solicitors who will be able to undertake the conveyancing on your behalf. You will need to advise your solicitor of the reservation period, which will normally be 28 days. Never be tempted to overstate your income. You could end up with a mortgage you can’t afford. Once you have identified who your mortgage lender will be, you need to inform the Sales Office at Cranbourne so that the records can be updated accordingly. 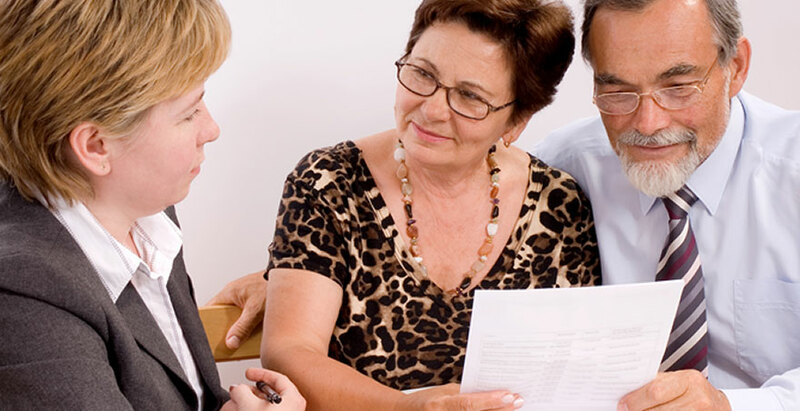 - Make an appointment with your Legal Advisor to sign the contract ready to exchange. - Confirm how the balance of the purchase will be paid on completion. - Arrange a removal van (remember to get a quote for packing boxes and check they have adequate insurance for breakages/damage). - If necessary, arrange for furniture to be put into storage, but allow plenty of time to identify what could be discarded in case a skip is required. - Gas/electric/water meter readings are recorded so that you can inform your service providers. - Gas/water/electricity is turned off. - House is securely locked. - Keys are left with Estate Agent or handed over to the new owners before leaving. Once the full payment has been transferred, and your Legal Advisor has received the transfer deed and originals of any other important documents you will be able to collect the keys from Cranbourne to your new home. Cranbourne recommend that you visit www.helpiammoving.com where you will find various checklists, which advise you on who to contact and useful things to do before moving home. The Consumer Code for Home Builders is a new regulation that was introduced on 1 April 2010 for buyers who wish to reserve to buy a new or newly converted home built by a home builder under the insurance protection of one of the supporting Home Warranty Bodies such as NHBC. -	know how to access speedy, low-cost dispute resolution arrangements if they are dissatisfied.